Halloween is a little under two weeks away, so what’s a redhead to be? This year this redhead is paying homage to my favorite series (book + movie), Harry Potter. I’ll be becoming Ginny Weasley this Halloween. I’m actually surprised it’s taken me this long to be Ginny Weasley for Halloween. To put together this costume, I knew I didn’t want to spend a lot of money, and I wanted to find pieces that I could potentially wear at other times of the year as well. Searching on Google gave me a few ideas, and I found my first stop was hottopic.com. Hot Topic is a great place for fan pieces and less costumey pieces. The first piece of your costume you’ll need is a Hogwarts/Gryffindor sweater, which you can pick up from Hot Topic or Amazon. 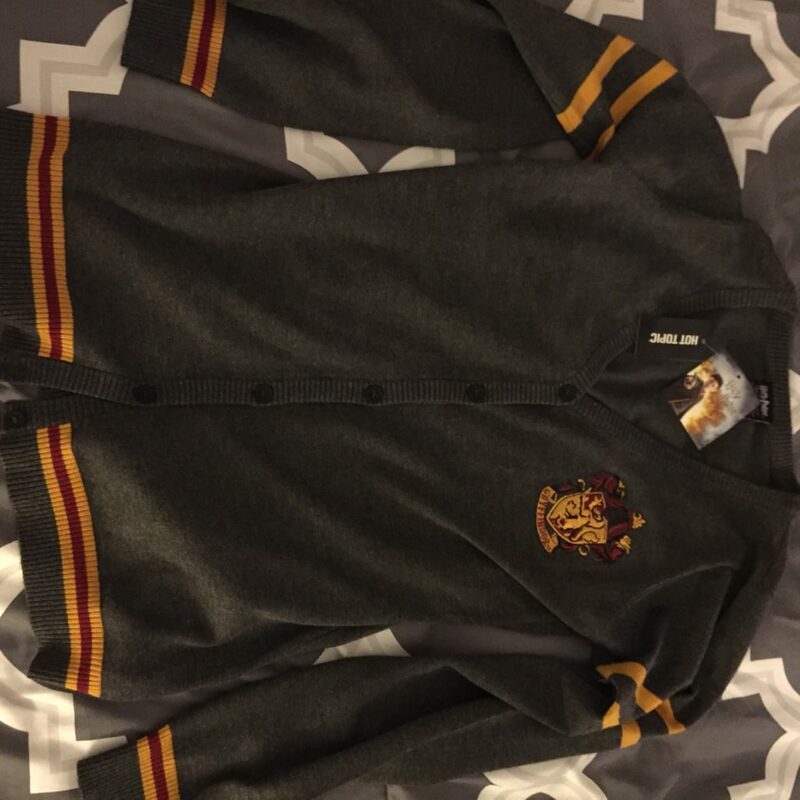 I chose to get mine from Hot Topic since a lot of people on Amazon complained that although the picture presented was of the grey cardigan, they actually received red ones. Hot Topic had the right color in stock, and it was on sale! I did have some issues with Hot Topic though (lost package and a poor experience calling customer service), so I would suggest shopping in store if possible. However, once I finally got a cardigan, I have to say, the quality is awesome, it’s super soft, and very cute! 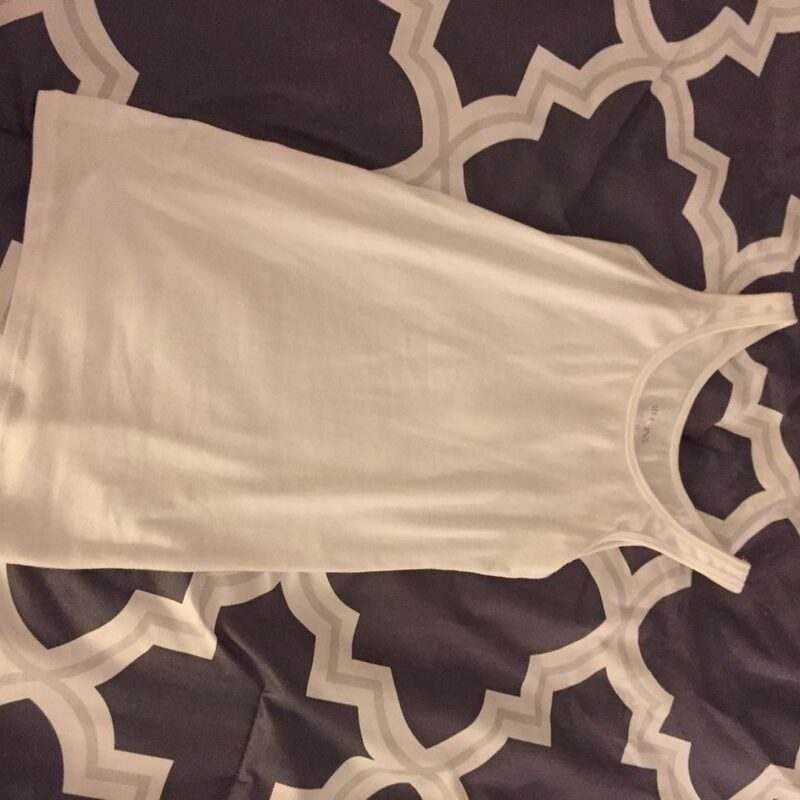 For sizing purposes I went up a size because when I tried on my usual size in store (even though the online size chart said it would work for me) I found it was too tight around the chest and the button areas kind of pulled apart leaving not so pretty gaps. Try on the sweater in store if you can to make sure you get one that works best for you. The second thing you need is a black pleated skirt. 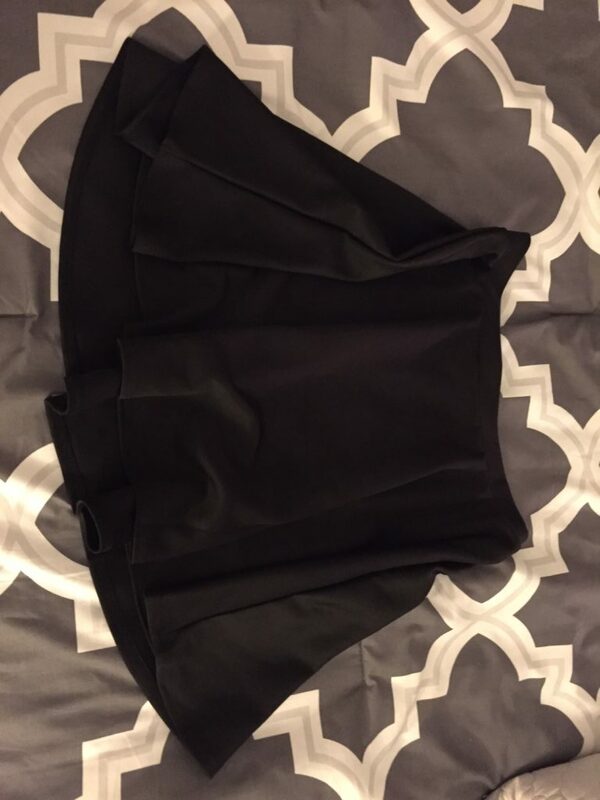 I bought mine off of Amazon – the MBJ Womens Basic Versatile Stretchy Flared Skater Skirt. Don’t be surprised if you get a skirt several sizes larger than you would normally get. The size that I requested equated to a size 2 times larger than I’m used to wearing. The skirt itself is cute, comfy, and soft, so a pretty good find for only $15. The skirt also comes in a ton of different colors, so if you fall in love with it, go crazy! To capture Ginny’s look, you’ll also want black shoes or flats. I’m going with a pair I already had in my closet. 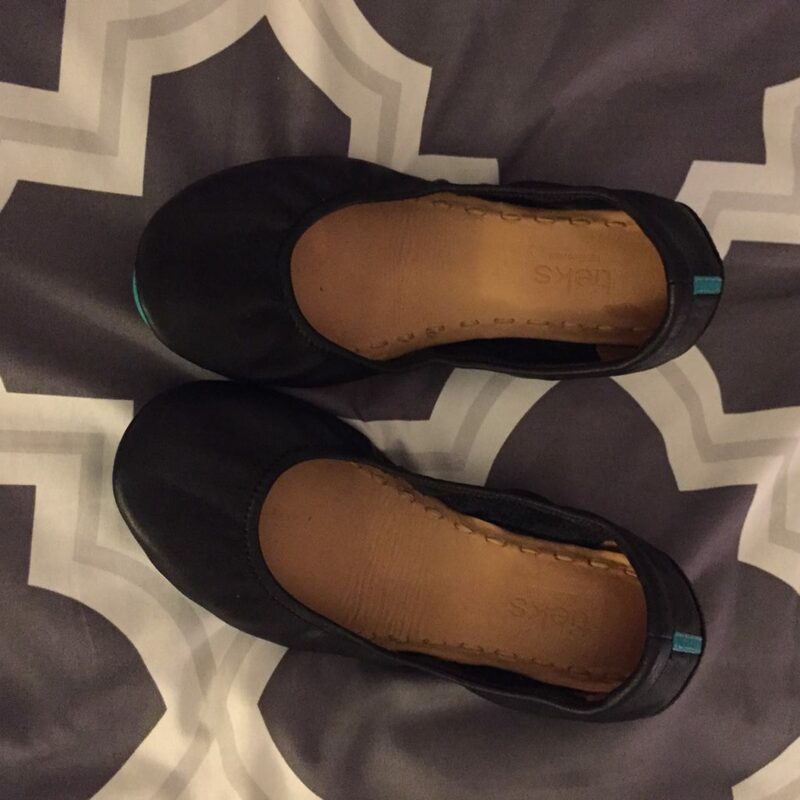 Pair these with black tights, socks, or go bare skinned if you prefer. I recommend wearing something under the cardigan. While Ginny has been captured wearing a button up top, I figured I would go with my own style, adding a white tank top underneath. Since I’m going with a tank top, I’m also opting out of the Gryffindor tie, but if you’re wanting to go all out, definitely wear a white button up and the tie. Pick up the tie here. For extra fun, throw in a wand and you’ll be good to go! This outfit will work for girls and women of all ages, and is really easy to put together. If you’re also not wanting to look to costume-y, this outfit is perfect. If you’re not a redhead, you can still rock this costume, be it as Hermoine or another lady Gryffindor favorite.